This is a one pot recipe made with chop, yogurt and simple ingredients. You can serve Mutton Chanp Bhuna with chapati/Paratha and Raita. Fry onion in oil. 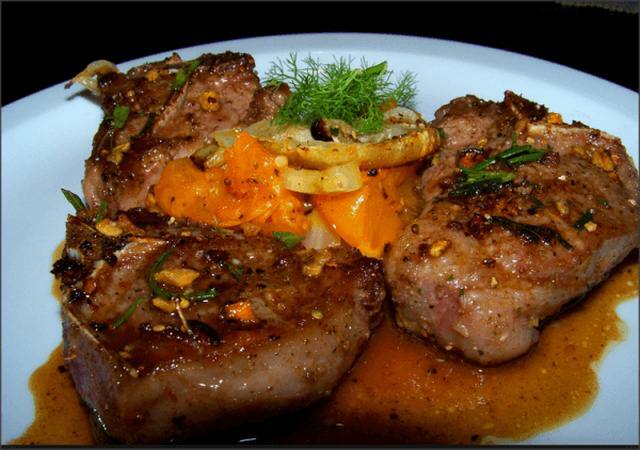 When soft add ginger, garlic paste, cook for 2-3 minutes and add chops, cook till water of chops dry. Include tomatoes, green chilies and yogurt. After 5 minutes add salt, red chili powder, haldi, jaefl jawetri and tomato puree, stir, after two minutes add garam masala powder. Include 2 glasses of water, increase flame. Cover and cook on slow flame until tender and a dry masala formed.